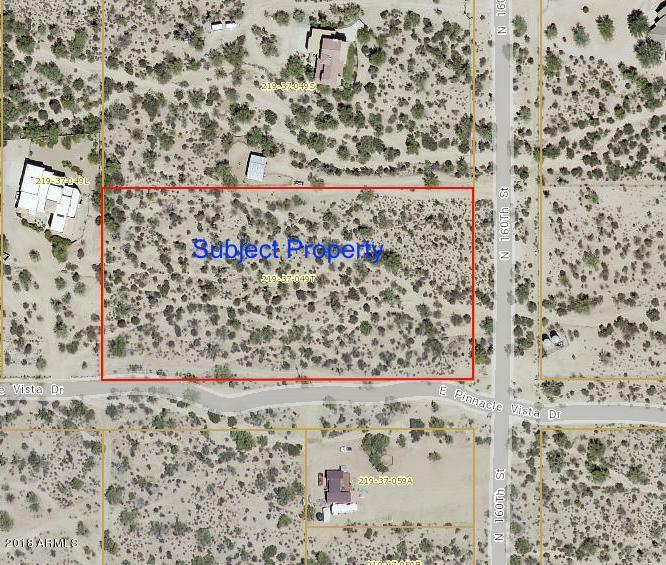 Pristine 4.31 acre parcel fronting N. 160th Street and Pinnacle Peak Road. Relatively level with natural desert landscaping. Within riding distance to McDowell Regional Park, spectacular views of 4 Peaks and McDowell Mountains. Horses welcome and just across the street from Almosta Ranch. Water wells are reported to be excellent in the immediate area. Electricity and telephone are very close by. Priced well.